P. F. Ford’s Slater and Norman series has been reading candy for me for some time now. The books are not demanding, but they’re cheerful and likable. The previous book in the series showed signs of a rushed release. Wrongly Convicted was better. Former police detective Dave Slater comes back to England from a vacation in Thailand and decides to join his friend Norman Norman in his private detective agency. Business isn’t quite booming, so they’re happy to be approached by a woman whose husband was convicted ten years before of murdering another woman. She is convinced he’s innocent, but her source of information is dead. Now she asks them to find the real murderer. It’s a feature (or bug) of this series that secondary characters tend to change in serious ways between books. This time out, Slater’s girlfriend “Watson,” who went with him to Thailand, turns out to be something he never suspected. The police come to question him after the car he loaned her turns up demolished by a bomb. 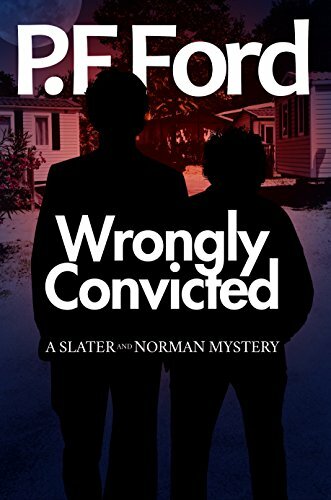 Wrongly Convicted isn’t top-tier fiction, but I liked it and always enjoy a new release in the series. I thought the conclusion was a little artificial, but not enough to complain about in terms of the genre. Only minor cautions for adult themes. 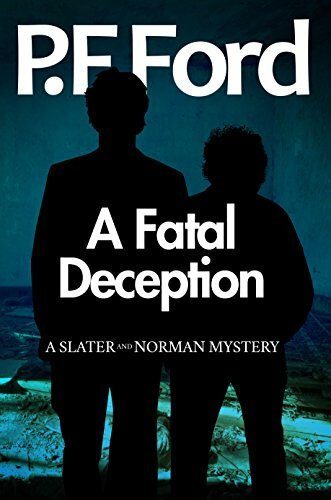 The eleventh entry in P. F. Ford’s Slater and Norman series has recently been released. Ford wrote, in an e-mail to his fans (which I received) that the publication date had been delayed due to certain family problems. Sad to report, the problems show in the book, A Fatal Deception. The last book was pretty much all English detective Dave Slater, with almost no appearance by his former partner, Norman Norman, who is now a private investigator. In recompense, this book follows Norman (with his new partner, Naomi Darling) as they search for Jenny Radstock, Dave’s former girlfriend. Jenny has been living off and on in hiding, as a homeless person, for some time, and Norman and Naomi travel to the town where she was last seen. What they find is pretty ugly. I remain a fan of this good-hearted mystery series, but A Fatal Deception shows all the signs of a rush job. There are a number of grammatical errors (though Ford has always been weak in that department). Bits of dialogue are rehashed twice or even, sometimes, three times. In our introduction to one character, we are treated first to a description of his personality, and then a scene where he demonstrates that description point for point. Which makes the initial description entirely redundant. And not only was the conclusion a downer, but threads were left untied. As if author Ford couldn’t be bothered to finish the story properly. Ford makes up for the short length of the novel by appending a novella devoted to Norman Norman celebrating a lonely Christmas. This story was more satisfactory, and left behind a pleasant, heartwarming feeling. So I don’t feel entirely cheated. But A Fatal Deception is not up to the usual standards of a series more memorable for its likeability than for its literary qualities in the first place. I’m catching up on reviews here, having been rudely interrupted in my posting schedule by some idiot who insisted that I go to North Dakota. Who was that guy? Oh yeah, it was me. 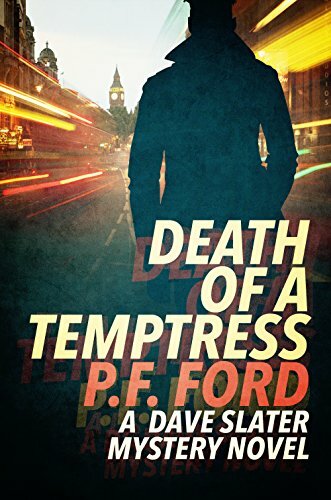 I’m up to the ninth and tenth in P. F. Ford’s Dave Slater mystery series here. Number nine is What’s In a Name? Ten is A Puzzle of Old Bones. It’s been enough time since I finished them that I’ve gotten a little vague on the details. So this will be a short review, despite covering two books. Dave Slater, our hero, is a former police detective in the fictional town of Tinton, England. In the last book he quit the force, tired of the politics and backstabbing. Now he’s beginning a private investigation agency with his old partner, Norman Norman. But he feels uncomfortable in that role. At heart he’s still a cop. In What’s In a Name? he and Norman are asked to discover the truth about an old man who died in his home. It seems like no mystery at all at first, but suspicious elements begin popping up. And now a chief inspector from London appears, offering Dave and Norman the help of a talented female detective, Samantha Brearley, in their investigation. All he asks in return is that Dave consider the offer of a job working for him. Dave likes the idea, but fears he would be betraying Norman. 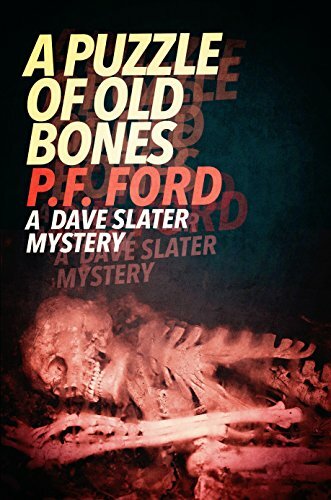 In A Puzzle of Old Bones, Dave (spoiler alert) has taken the new job, and is working with Samantha, and Norman – a regular in all the books up till now – barely appears. The assignment is to solve the murder of a little boy whose bones have been found in a ditch. It’s a challenge, though not unexpected, when the boy’s presumed parents refuse to believe it’s actually their son. Things get really strange when they are proven right. As I always say when reviewing these books, they’re not great literature, but they’re fun and engaging and positive. And it’s oddly compelling that author Ford keeps moving his characters around and changing them from sympathetic to repellent for no apparent reason except to change things up. Anyway, there isn’t much objectionable in these books, and they’re good entertainment. A Puzzle of Old BonesDave SlaterP.F. FordWhat's In a Name? I expect you’re tired of my reviews of P. F. Ford’s Dave Slater novels, but that’s what I read last, and I don’t have any deathless thoughts about Labor Day to share (I labored today, for the record). I promise the next one will be from another author. 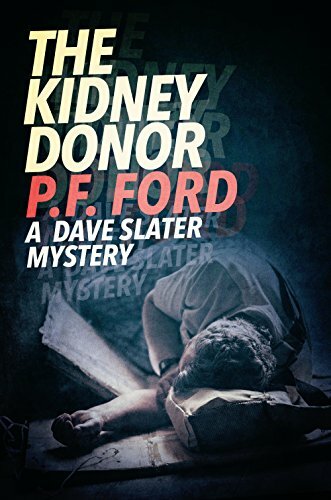 In The Kidney Donor, we find our hero Dave Slater freshly separated from the Tinton (England) police force and freshly returned from a vacation in Thailand. He and his former partner, Norman Norman, are thinking about starting a private investigation agency. Norman takes him to meet a vicar and his wife, who run a soup kitchen out of their church. When one of the homeless men they care for is killed in a dumpster fire, while sleeping in another homeless man’s usual place, they wonder why their former police colleagues are taking so little interest in the death. When more deaths follow, they grow even more suspicious. Their pro bono investigation uncovers organized crime connections, police malfeasance, and a very old grudge. I’m amused by the fact that I enjoy these books so well. The writing can be very uneven. Author Ford has a particular problem developing his characters. In one scene here a tough old gangster carelessly speaks to Dave and Norman about a very personal tragedy – something a hard man like that would never mention to cops (or ex-cops) in real life. But I have fun with the Dave Slater books. They’re light and positive in tone. I recommend them on that basis, with cautions mostly for language. 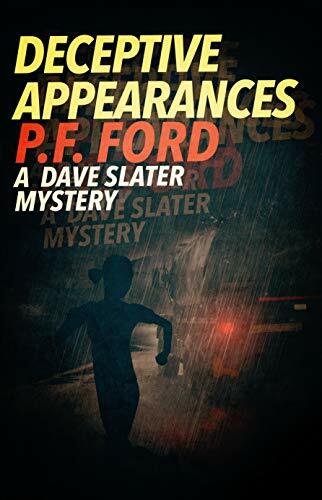 At this point, my ongoing reviews of P. F. Ford’s Dave Slater novels are more in the line of reading reports than reviews. You already know what I think of them – not top-level literature, but amusing entertainment. 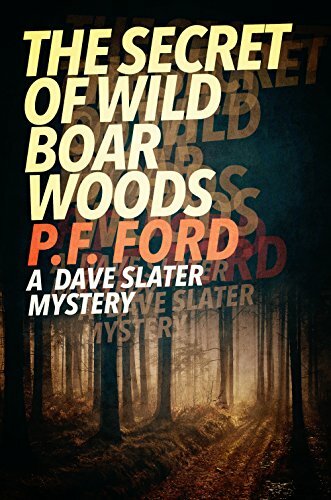 In The Secret of Wild Boar Woods, Detective Sergeant Dave Slater is landed with a new partner – a cute little female detective. To make it even more precious, her last name is Darling (and yes, comic hay is made out of that). They are called to investigate the disappearance of a young girl, last scene waiting for her mother outside her school. When the missing person case becomes murder, they’re faced with a confusing tangle of intertwining relationships, familial and sexual, among the girl’s family and their friends. Meanwhile Dave patiently attempts to teach his green and volatile new partner how to act like a grown-up cop. As always, the story was entertaining. As always, I’m a little annoyed by the author’s treatment of his characters. He changes his mind about them between stories, so that someone we’ve been taught to like in the last book because a bad’un in the present book. That, in my opinion, is not playing entirely fair with readers who faithfully follow the series. Still, The Secret of Wild Boar Woods was pretty good reading, and it’s not expensive in Kindle. Recommended, with cautions for adult themes. 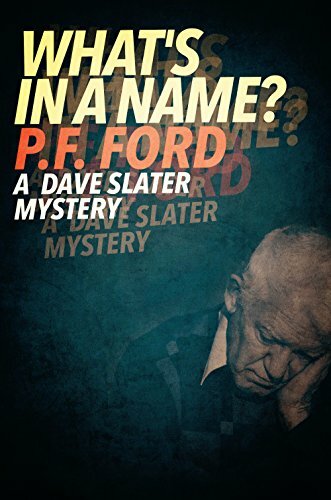 The Dave Slater mystery series from P. F. Ford continues. 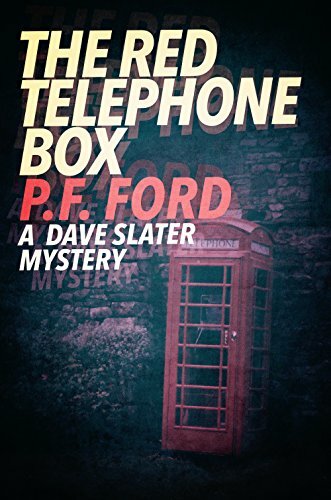 In The Red Telephone Box, Detective Sergeant Slater’s partner, DS Norman, disappears. Norman has been taking secretive calls for some time, and Dave hasn’t wanted to poke into his affairs. Now he has to. At the same time, a “new broom” has arrived in the police station in Tinton, Hampshire. Detective Inspector Goodnews (seriously, that’s her name) has been sent in to straighten out the somewhat chaotic organization of the department. Dave gets off to a rocky start with her, but gradually comes to appreciate her leadership qualities and detective skills. Also, she’s quite attractive, and they’re soon both hard at work denying to themselves their mutual attraction. I’ve spoken condescendingly about the writing in this series, and in truth it’s not top notch. But there’s an interesting metanarrative in view here – minor subplots in the various books form an overarching narrative which (one assumes) will be made manifest in books to come. That helps keep the reader’s interest up. And author Ford isn’t afraid to mess with the cast. The characterizations, on the other hand, are a little ham-handed. Characters seem to do drastic things for inadequate reasons, just to move the plot along. But I’m enjoying the series. I’ll read a couple non-related books now, and come back to Dave Slater. Mild cautions for adult situations. 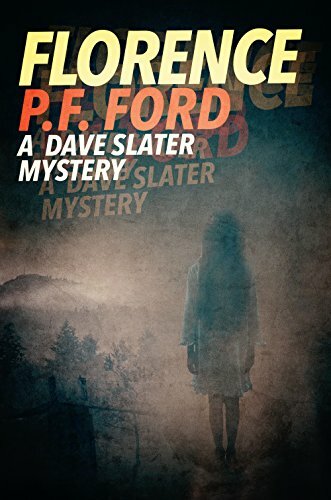 Another Dave Slater mystery from P. F. Ford. I’m working my way through the series, but I can’t read too many in a row because they make for same-same reviews. The Wrong Man is fast-food literature, enjoyable but without great substance. Diana Woods was a beautiful housewife. All her friends and neighbors praise her as a wonderful friend. But her ex-husband and a few others tell a different story – that she was devious, two-faced, greedy, and sexually promiscuous. In any case, she’s dead now, stabbed with a knife in her kitchen. Detective Sergeants Slater and Norman, of the fictional small English town of Tinton, quickly find evidence that points to the ex-husband. But he seems genuinely distraught by Diana’s death. DS Slater is uncomfortable with charging him, even in spite of pressure from his commander. P. F. Ford’s forte is in fooling the reader. There are surprises and counter-surprises right to the end. I was baffled and thoroughly taken in (though I’ll admit I’m not the cleverest mystery reader). The writing, as always, is average, and the characterizations uneven, but the puzzle was highly enjoyable. Recommended with mild cautions for adult themes. I’m carrying on with P.F. 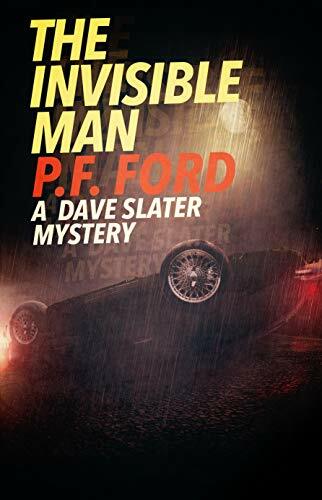 Ford’s Dave Slater mystery series. Dave is a police detective in a small English town, partnered with DS Norman, who preaches positive thinking. In Florence, an old man is found dead in his home, and Dave writes it off as an accident, with good reasons. But then there are break-ins in the man’s house, and the pathologist confirms that bruising on the body suggests possible homicide. And there’s the mystery of the man’s will. He left everything to his sister, whom he insisted shortly before his death was still alive. But there’s no record of the woman. Dave and his team slowly uncover the secret history of a defunct local orphanage, a history that certain powerful people will go to any length to keep secret. Florence seemed to me a little more serious than the previous books in the series. That’s not necessarily a bad thing, because author Ford can sometimes overdo the jokes. He’s learning how to write a good mystery, though. He did an excellent job of distracting me from the pea under the shell. Recommended for light reading – though very serious themes are addressed. Minor cautions for language and adult themes. 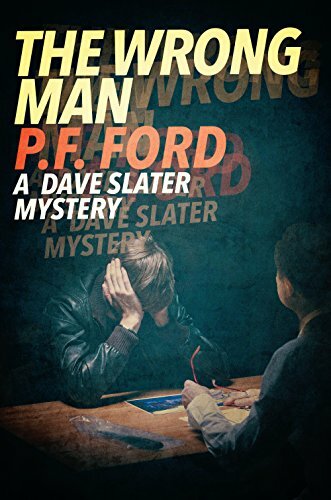 This is number two in the Dave Slater mystery series by P. F. Ford. I enjoyed the first one, and reviewed it just below. This one was fun too. 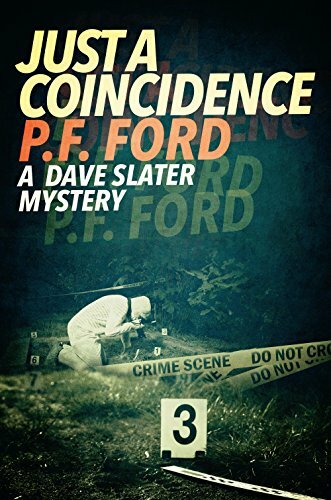 At the start of Just a Coincidence, Dave, a detective sergeant in the small English town of Tinton, is called to a crime scene, after a dog walker has discovered a woman’s body, battered to an extent that seems hardly possible. The dog that first found the body then runs up with a human femur in his mouth – an old one. A search of the area uncovers a shallow grave containing the bodies of a woman and a young girl. And then it gets really weird. Turns out all three bodies are related. Dave Slater once again teams up with the inveterate optimist DS Norman. The trail leads to a millionaire who practices serial monogamy and a smuggling operation run by shadowy Eastern European gangsters. The investigation is hampered by an unstable team member who creates dissension in the police ranks. And all through, DS Norman does his best to keep Dave thinking positive. I enjoyed Just a Coincidence just as much as I enjoyed Death of a Temptress. The writing isn’t always the best, but the entertainment never flags. Author Ford has an interesting way of taking characters in unexpected directions, so the reader should never take anything – or anyone – for granted. Recommended for grownups. Cautions for language and stuff. An hour or so later, they were pretty sure they were both on the same page. In fact, they were in complete agreement. They completely agreed they had no idea what it was they were investigating. Sometimes a book benefits from contrast with what you last read. After my brief, grim sojourn among Norwegian mystery writers, this story came like a break in the clouds. In spite of some flaws.